What a crazy week and a half it has been! Last week I was in Boston for work, and I feel like I'm just now catching up from being out of town. 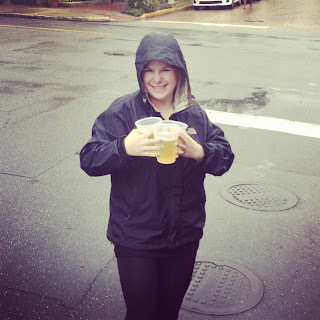 I went straight from Boston on Thursday to Savannah on Friday for a bachelorette weekend. We were celebrating my friend Jenny, and we had a blast! We rented a house on Tybee Island, about 30 minutes outside of downtown Savannah, and all arrived there on Friday evening. On Saturday afternoon the 17 of us went into downtown Savannah and did the Savannah Slow Ride tour. 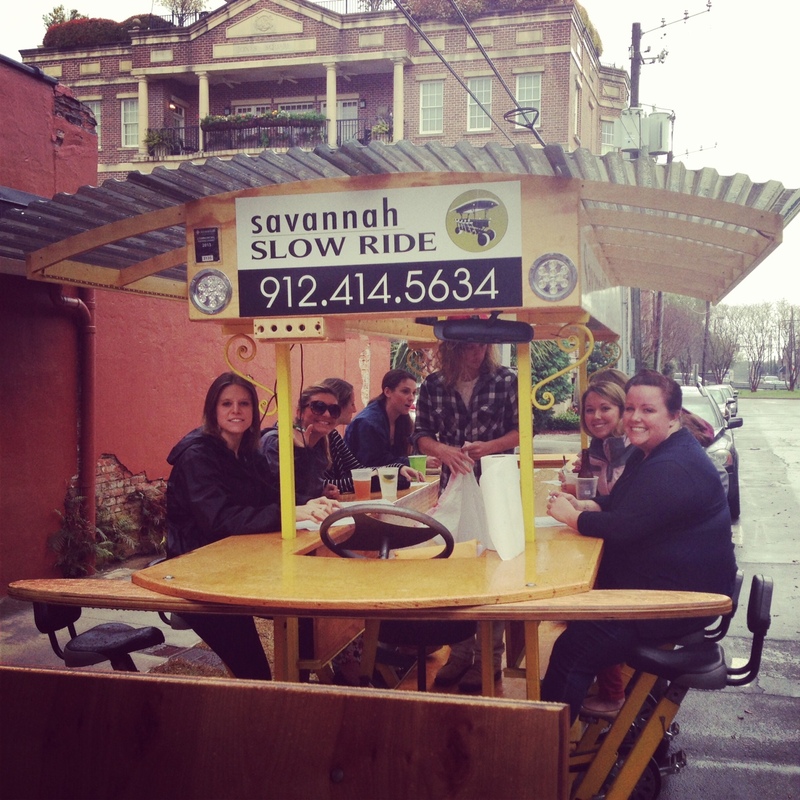 The Savannah Slow Ride is basically a bar on wheels. You move the vehicle by peddling. Each bar stool has peddles and there is a driver at the front that steers you where you need to go and makes sure you stop at all stop signs. 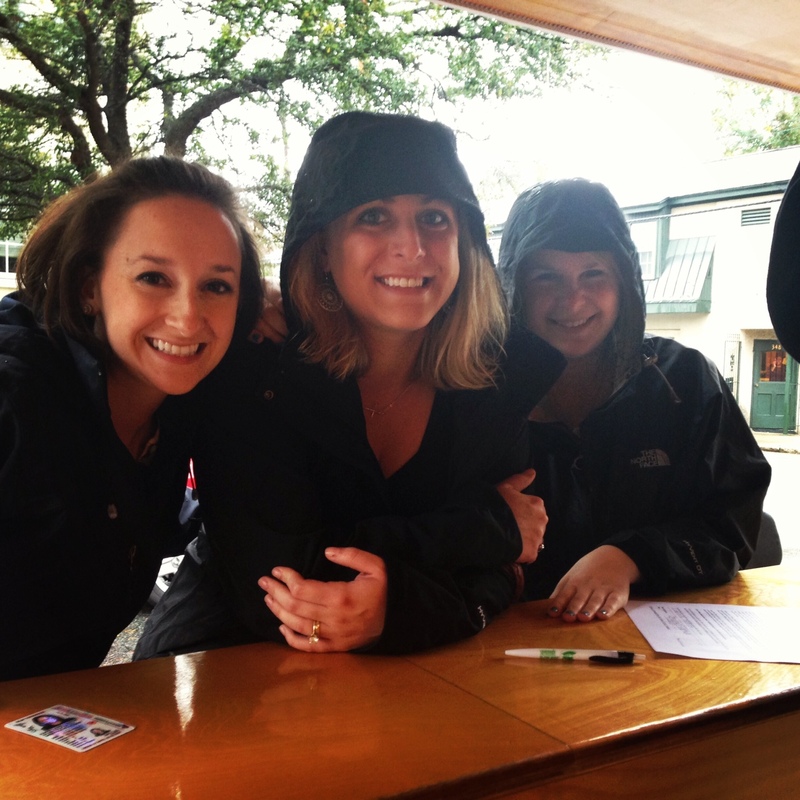 We peddled from bar to bar downtown and had so much fun regardless of the rain. Savannah has no open container laws either so we could ride around with our beers in hand which was great. Saturday night we headed back to downtown Savannah and went to Savannah Smiles, a dueling piano bar. 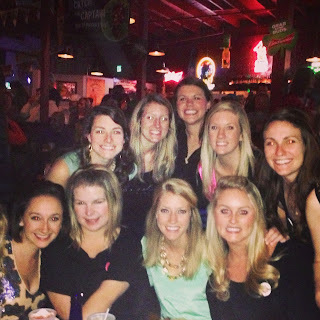 This is the best place to go for bachelorette parties, I went there for mine too and had a blast. They are so good about involving the crowd with their songs. 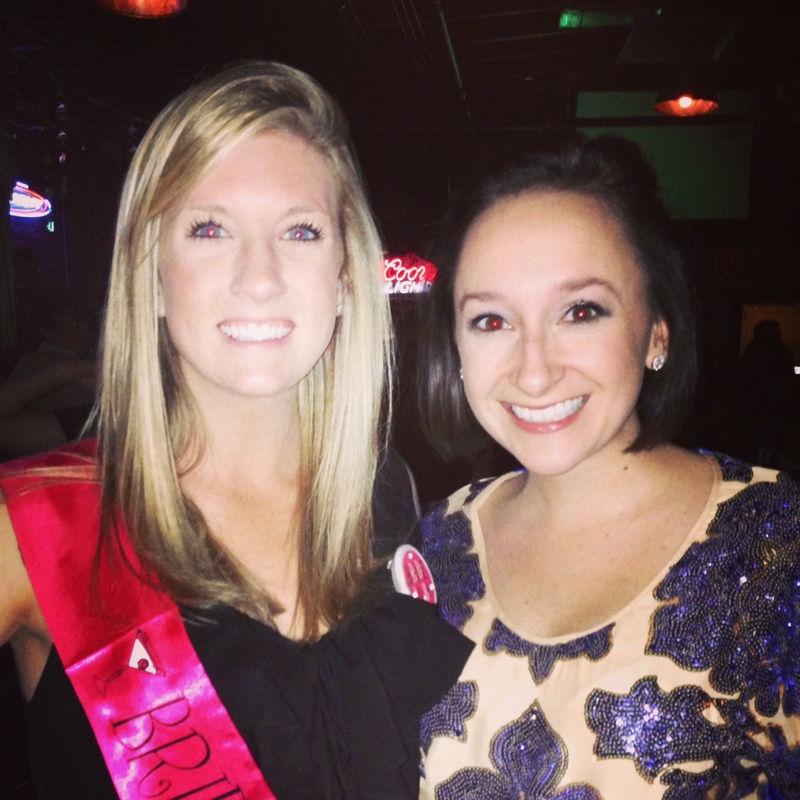 Every bachelorette needs their moment on stage, and we made sure Jenny had hers! I'm already looking forward to celebrating Jenny and her hubby-to-be Andrew in just a few weeks. March 23rd is their wedding date, and it'll be here before we know it! I saw you! I was at Savannah Smiles on Saturday and thought I knew you from somewhere. I have met you through April and follow your blog. We were in Savannah the entire rainy weekend. :) Where did you stay? That is too crazy! I wish I had seen you! We stayed at a big beach house on Tybee. 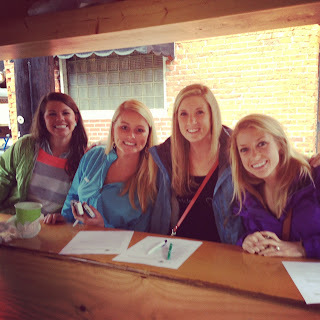 Hope you had a great weekend there too despite the rain! That is a great Bachelorette Party idea!! I really love it. I'm getting married in Savannah, and its my favorite city. I just threw my sister's bachelorette party in Savannah last weekend and we also did Slow Ride and Savannah Smiles - both were a blast!